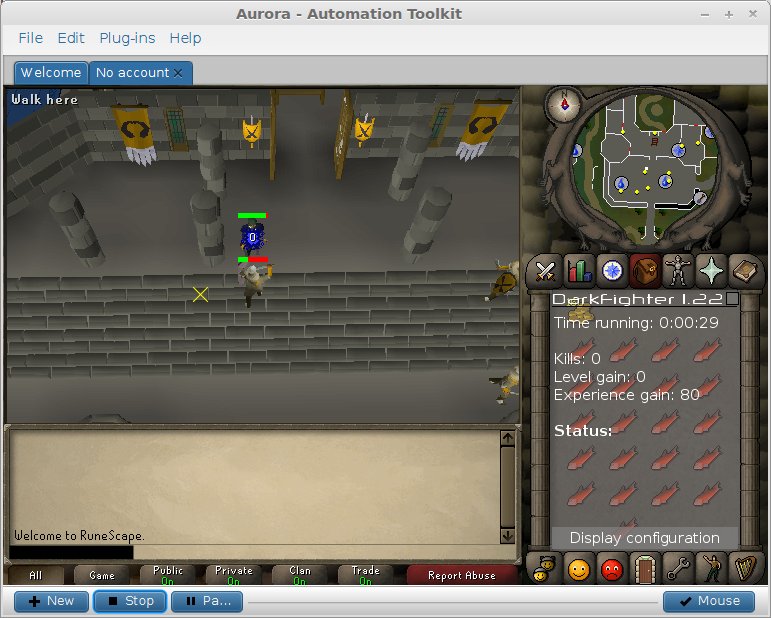 The very instant that Oldschool Runescape was released I began to work on a bot out of curiosity, but it turned into a much more grandiose project pulling ideas that I had circling in my head for a very long time, from back when I was still writing scripts for preexisting bots (particularly KBot2, KBotPRO and Quirlion). 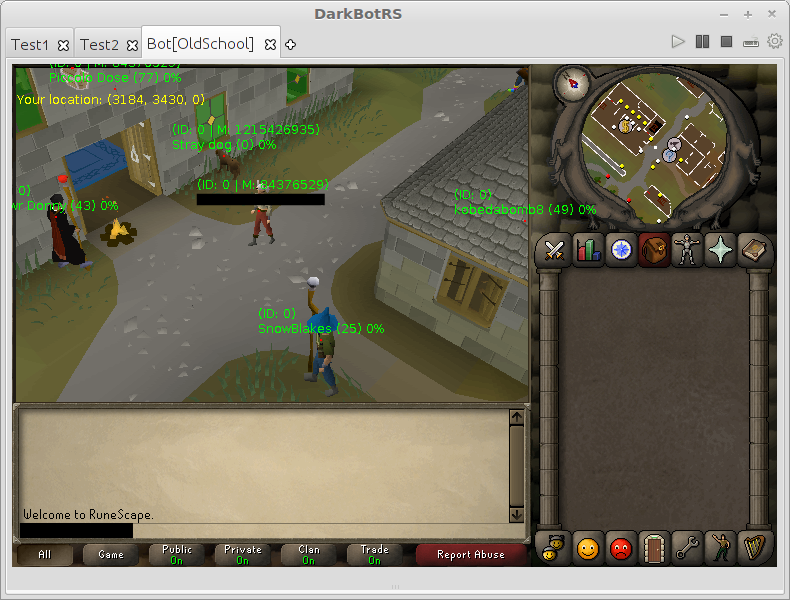 Toward the end of old RS transitioning into RSHD bot lifespans became increasingly shorter, which was infuriating -- scripts written for one bot were rarely ever ported to another, leading to new bots taking forever to gain traction. 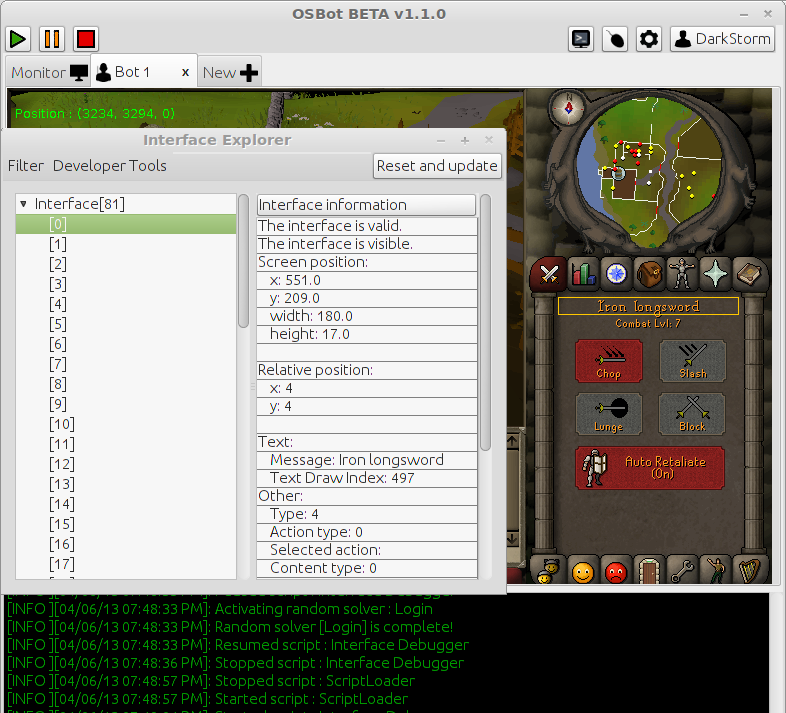 RuneScape bindings on each also all differed in names, structure, and bugs, making porting scripts much more than an hour's project. I reflected on these discrepancies and designed a universal interface to all of these different bots, but never implemented those ideas until DarkBotRS. 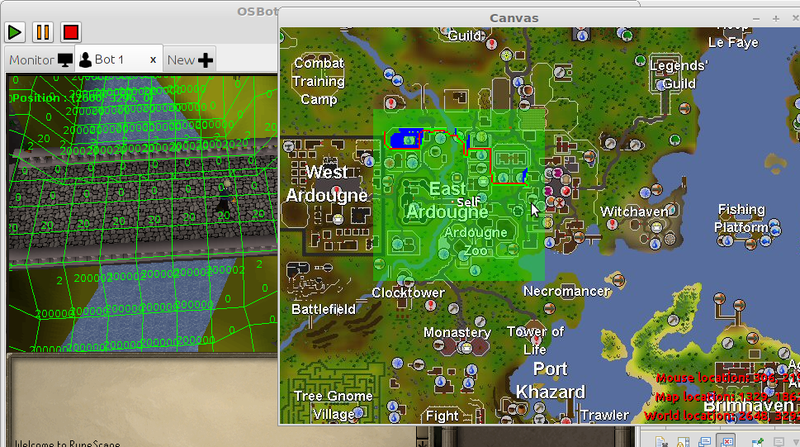 I have learned a good deal about how and how not to design wrappers in developing this -- especially how difficult it is to come up a wrapper that isn't horribly non-conforming to DRY In the end I believe I've managed to design a pretty overarching and generalized API, encompassing both OSRS and RS3 in the same bindings and making differences between bot backend wrapper implementations almost disappear. I also pulled in API generation from my DarkMod Minecraft project from the alpha days (which used concepts from injection RS bots but generated the API alongside inserting getter methods and callbacks to an event bus). 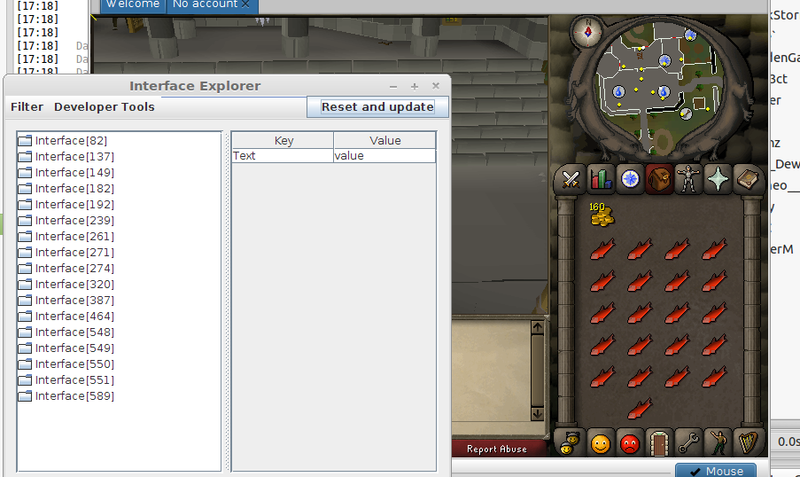 Sadly I've lost interest in maintaining it and it has fallen far behind the state current OSRS cheating scene (which changes so very tumultuously, so rapidly ). The updater never had any real effort put into it, so it only has a few identiifers that probably now fail to match anything. (Sorry vInsert and OSBot, I was stealing your hooks ). I'm just leaving the project here for anyone interested. 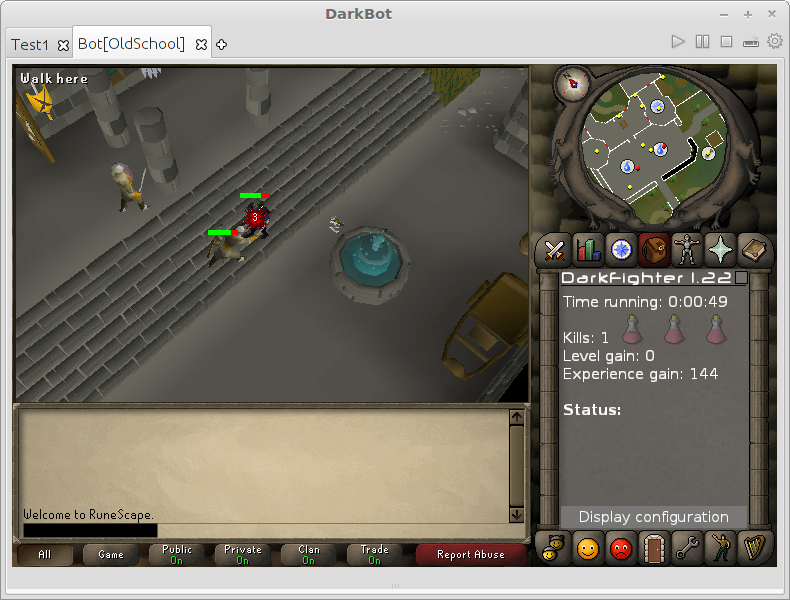 I released both DarkFighter and DarkAgility on OSBot (with great success) and I was working on finishing the Aurora implementation, but the scripts were already almost flawless there with no changes. Very cool project! How long did it take for you to create a beta? (01-06-2015, 02:44 AM)konloch Wrote: Very cool project! How long did it take for you to create a beta? Ah fair enough, good job on this! Hopefully someone can pick this off and continue it, Or maybe you'reself sounds like its worth continueing.